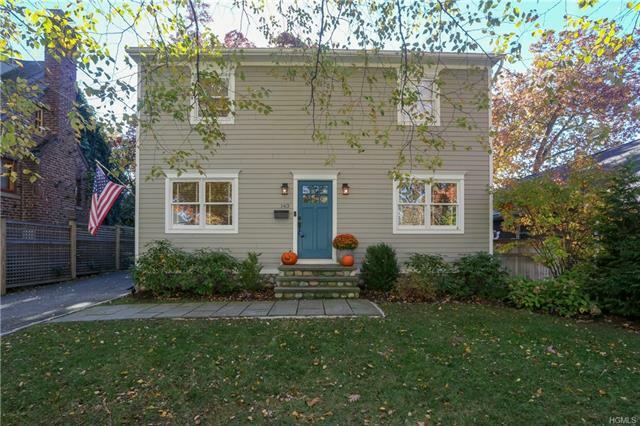 Walk to the quaint village of Nyack from this beautiful 3 bed, 3 bath Colonial. As you walk through the door you will find yourself in a lovely living room with built in book shelves and gorgeous hardwood floors, this flows right into the kitchen with it&apos;s soapstone counters and plenty of cabinet space. Enjoy your meals in the formal dining room or step out the sliding doors into a fenced in yard. Entertain friends, make s&apos;mores by the fire pit or do some grilling on the patio. Upstairs has a master bedroom suite complete with a walk in closet. The other 2 bedrooms have hardwood floors and lots of natural light streaming in. They have large closets for lots of storage. But this amazing house is not done showing off it&apos;s use of space, in the basement you will find a great area for lounging and watching a movie, exercise room or whatever fits your needs. There is a great area for laundry and an office down there as well. This home has it all including the great location and curb appeal.